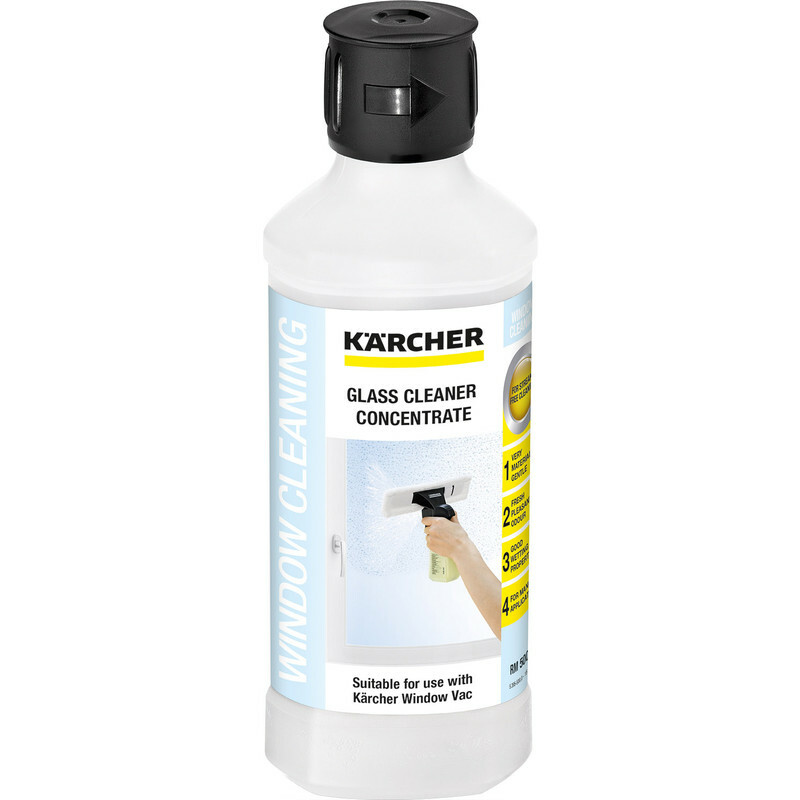 Kärcher glass cleaner concentrate is the solution for perfectly streak-free windows and is ideal for use with the Karcher window vac system. Karcher Glass Cleaner Concentrate 500ml is rated 5.0 out of 5 by 7. Rated 5 out of 5 by Pammie 15 from Excellent service Very pleased with the service I recieved from Tool Station, quick and effiecient service. Good price and larger than I expected. Rated 5 out of 5 by Lingmell from Useful It works well - cleans well. Rated 5 out of 5 by Valy from Good Stuff This is my 2nd bottle, original came with the Karcher Window Vac. Ik would not use any other product.